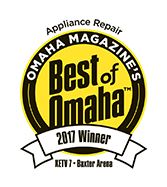 Washer and dryer repair Omaha: Is it time to repair the washer or replace it? Washer and dryer repair Omaha: Is it time to repair the washer or replace it? Should You Spring For A New Washer Or Get Washer Repair Done? You toss a quick load of laundry in the washer, hit go, walk away, and realize you hear no noise. You turn around and hit the go button again — still no dice. What now? Washers are the unsung heroes of everyday life. They are something we don’t often think about, but can’t imagine living without. If you are unfortunate enough to have your washer go out, there are a few questions you have to ask yourself to figure out where you should go from there. Here at Andy’s Appliance Repair, we put together this quick guide on whether or not you should replace or get washer repair done when your washer goes down. How Old Is Your Washing Machine? One of the first questions you should ask yourself when your washing machine stops working is, “About how long ago did I buy this?” While there is some controversy in the appliance community, washing machines and dryers should typically be replaced every 8 – 14 years. Obviously, this number will be a little bit different case by case but serves as a good general rule of thumb. So if you bought your washer or it was made more than 10 years ago, there is a good chance that when it goes down, it’s down for the count. If you are uncertain about whether or not your washing machine is eligible for washer repair, you can always give your local appliance repair service a call to get a second opinion or expert diagnostic. 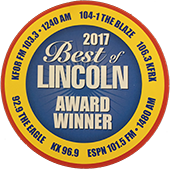 If you live in or around Omaha, Nebraska, give Andy’s Appliance Repair a call with any washer repair or other appliance repair related questions! What Will It Cost For Washer Repair? The cost of washer repair is often dependant on what is wrong with the washer. If it’s something like a belt or pulley, those are usually minor and inexpensive repairs that are well worth your time and money to get repaired. Replacing your washer because of a small problem with the belts and pulleys would be like replacing your home computer because it has a virus, or replacing a tractor because the battery is dead. However, if something more serious is wrong with your washing machine like a crack in the tub, then you might consider purchasing a new washer. It’s usually subjective whether or not it is worth it to you to pay money for a major washer repair, but a common formula is if the repair costs more than half of the original cost of your appliance, it’s worth just replacing instead. For example, let’s say you purchased a washing machine for the nice round number of $1,000. A few years down the line, the washer breaks and is not covered under warranty. If the cost of repairing the washer is only $150, it is most definitely worth getting fixed by an appliance repair service. However, if the repair costs were to exceed $500, then it may be worth it for you to just purchase a newer washer — since the cost of $500 is half of what you initially paid for the washer. Is Your Appliance Under Warranty? Most major appliances come with a warranty of some sort. Many warranties for washers cover about one year for any defect parts and will cover labor costs if the machine is defective and needs repairing. Most warranties also include a 10-year guarantee on the drum motor and a lifetime warranty on the washer drum itself. As long as you or anyone else did not do any damage or use the machine for something it was not intended for, the machine should be covered under warranty. If the machine is covered under warranty, depending on when you purchased it and what the problem is, you may qualify for free washer repair and dryer repair. 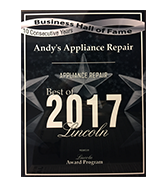 Andy’s Appliance Repair offers appliance repair services in Omaha, Lincoln, and many of the surrounding cities! If you are unsure whether or not you should get washer repair or replace it altogether, contact us here. 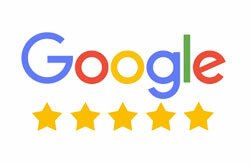 We are friendly local experts with years of experience under our belts and would be happy to diagnose, repair, or give advice on any domestic appliance, no matter how big or small! What Are the Most Common Stove Repair Problems?